Ogee profile gutters boasts high capacity performance to deal with above average rainfall in harsh environments, where other gutter style would come second best. It is the leading profile of gutter which has withstood the test of time both aesthetically and in functionality for both domestic and commercial needs. 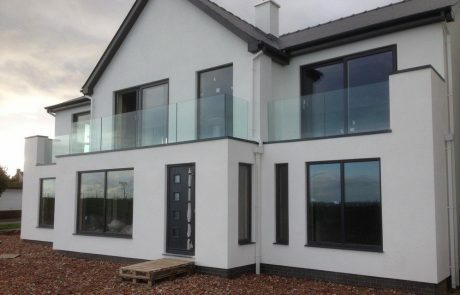 Why Choose Ogee Aluminium Gutters? 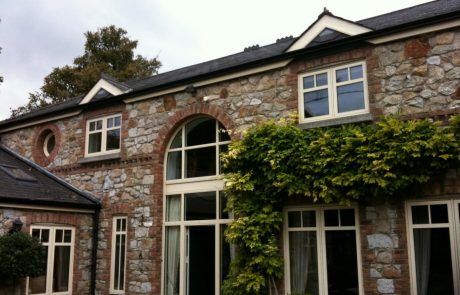 The Ogee gutter system has many advantages due to its unique shape. The key benefit is that with its unique profile, it can not only boast about its high performance and capacity when dealing with heavy rain in areas with above average rain fall. Its shape also reinforces a higher durability from physical damage that can make gutter system longer lasting in more physically harsh or demanding environments. With the right use of colour to compliment the exterior of a building, an Ogee style guttering system can both blend into a building design and stand out without any clash in style with almost any house or building. Regardless of the architectural design or structural age, the use of an Ogee style gutter system will make a properties roofline appear sleek and seamless. Its design can make weaker gutter materials like PVC cope with barrages that would usually crack and or break. Being constructed of a durable material like aluminium will not only increase the longevity of the system itself. 125mm x 90mm – 125mm being the catchment, 90mm being the height of the back edge. 150mm x 130mm – 150mm catchment, 120mm is the height of the back edge. 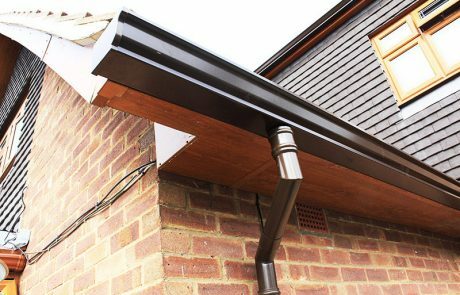 Opting to use an internal bracket will give the Ogee system a gutter system a seamless design that can be seen and often viewed from underneath. 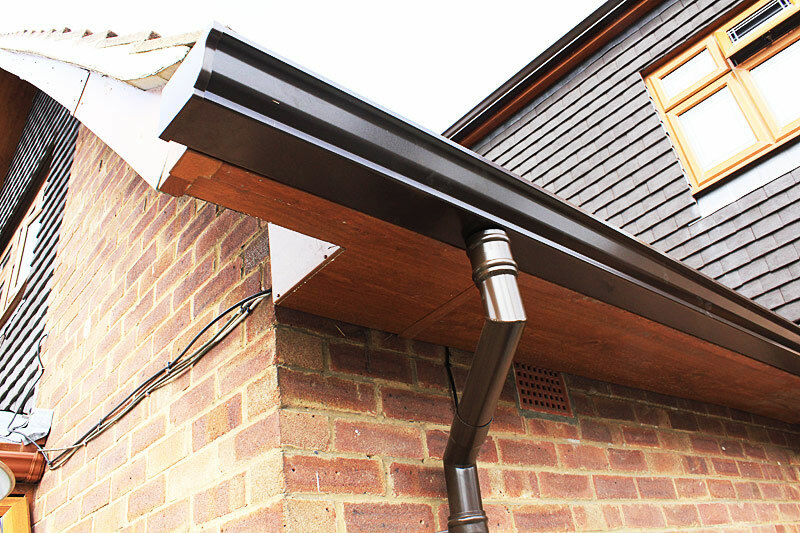 We provide a range of aluminium soffits and fascias to match. 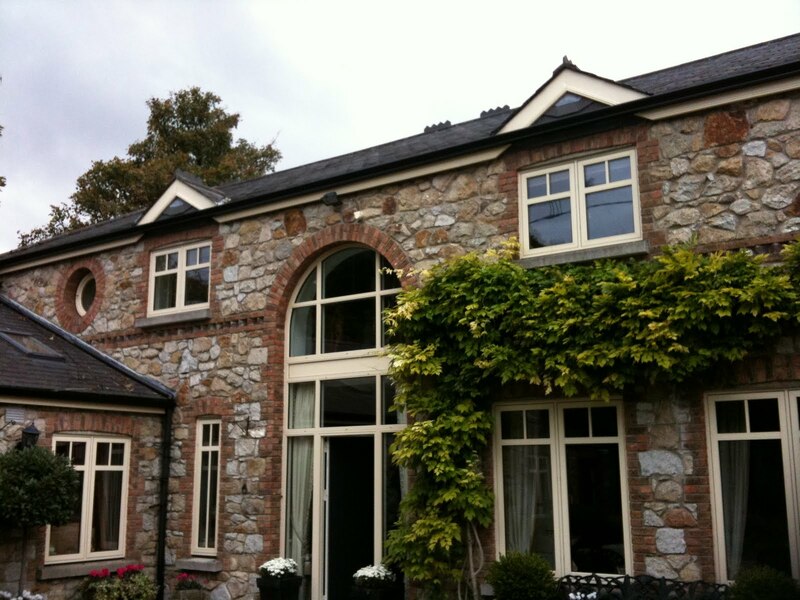 Despite its unique decretive style, An Ogee profile rain water system is no harder to install than another type. In fact due to its lightweight metal aluminium properties its better to work with. We provide installation directly into place onsite. 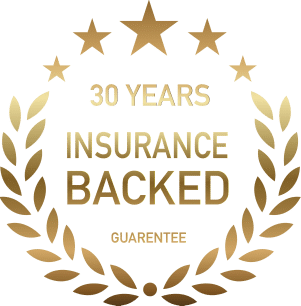 With this you will have our workmanship guarantee. Contact us today for your FREE quotation.